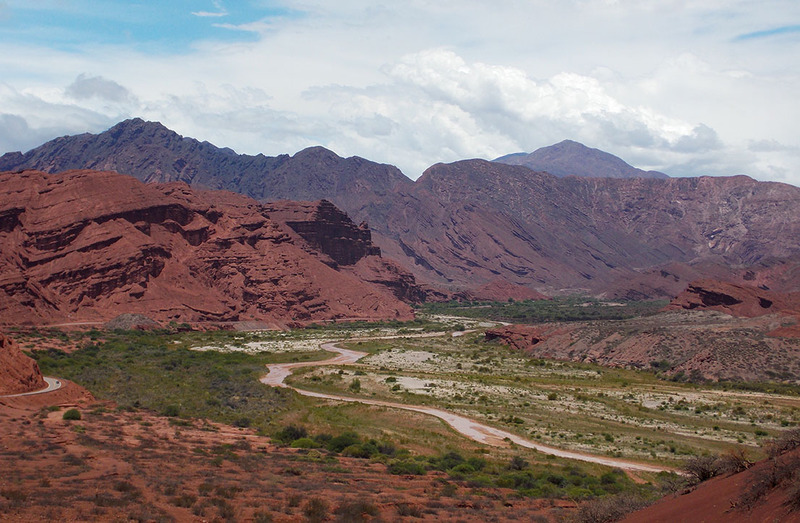 The Quebrada de Cafayate, or Quebrada de las Conchas, is a beautiful route and a must see in the province of Salta, North of Argentina. The water and the wind have shaped the mountains for years, giving way to amazing formation and colorful landscapes that extend along 80 km. 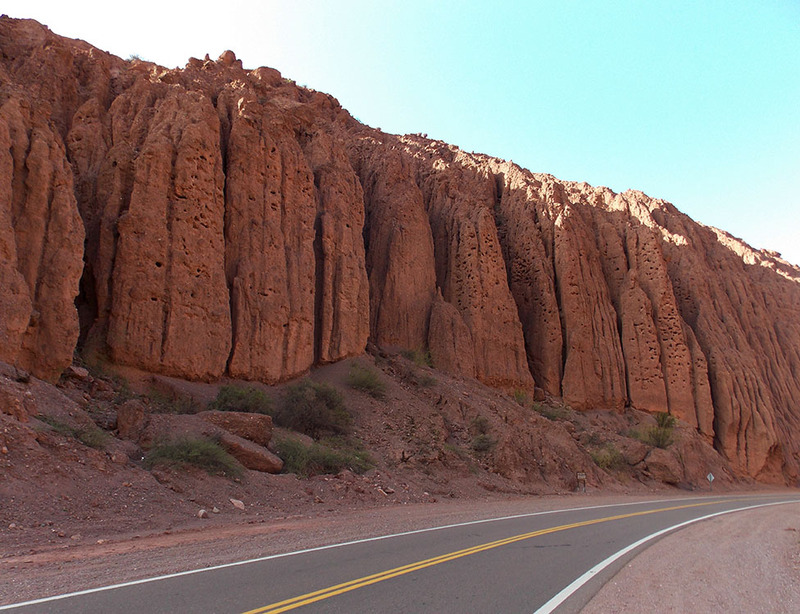 The route 68 takes you from Alemania to Cafayate, where nature has created beautiful “pieces of art”. The driving rout starts in Alemania, a small semi abandoned village that came to life with the railroad at the beginning of the 20th century. Today it is part of a quiet area that preserves the traces of time. The main and only street of Alemania take us to the river where we can spend the night, fish or just relax. 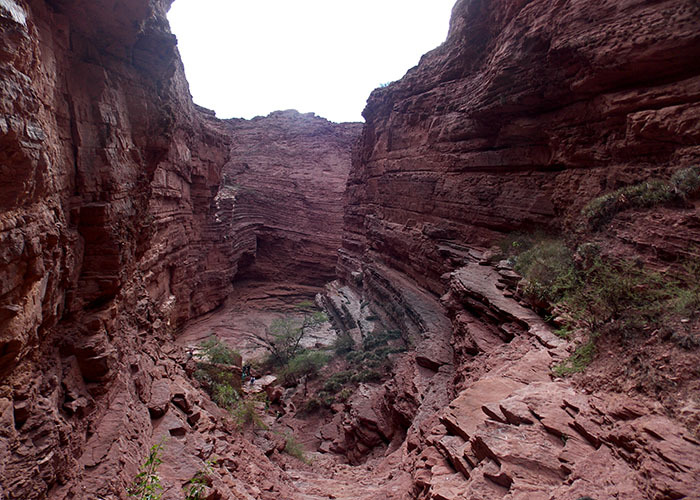 The first rocky formation we find is “La Garganta del Diablo” (The Devil’s Throat), deep and perfect where the Tillandsia, or carnation of the air grows. 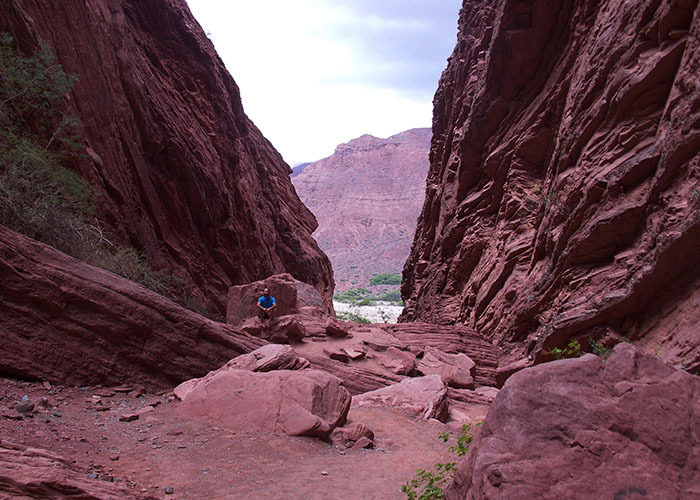 Just a little bit further on the side of the road you will find the “Amphitheater”, a natural formation which structure amplifies the sound, and where form time to time people fill their walls with the sound of handmade instruments. 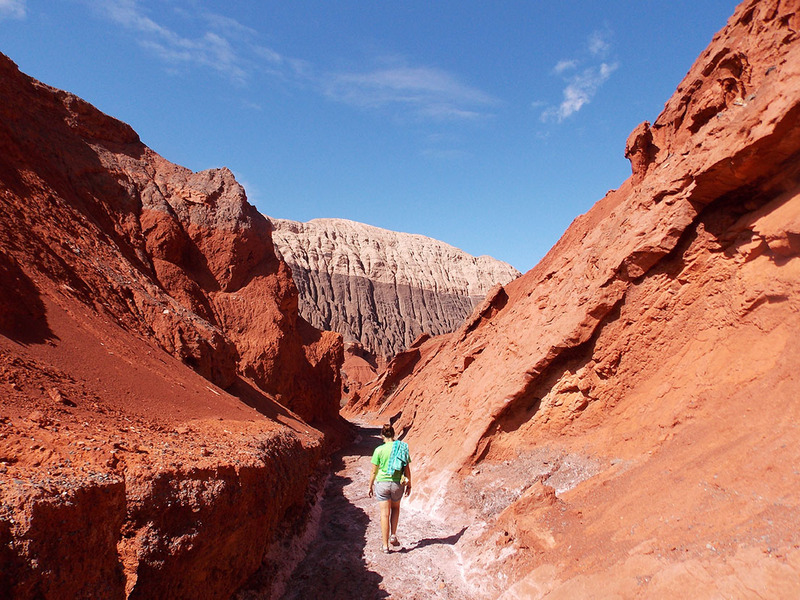 Only 5 kilometers away from the Amphitheater we arrive at the “Mirador de Tres Cruces”, where the magnitude of the Quebrada takes its maximum dimension and shine at its best. After enjoying the views we continue south, where a geoform is created by a set of clustered rocks that give shape to an amphibian, “El Sapo” (The Frog) . 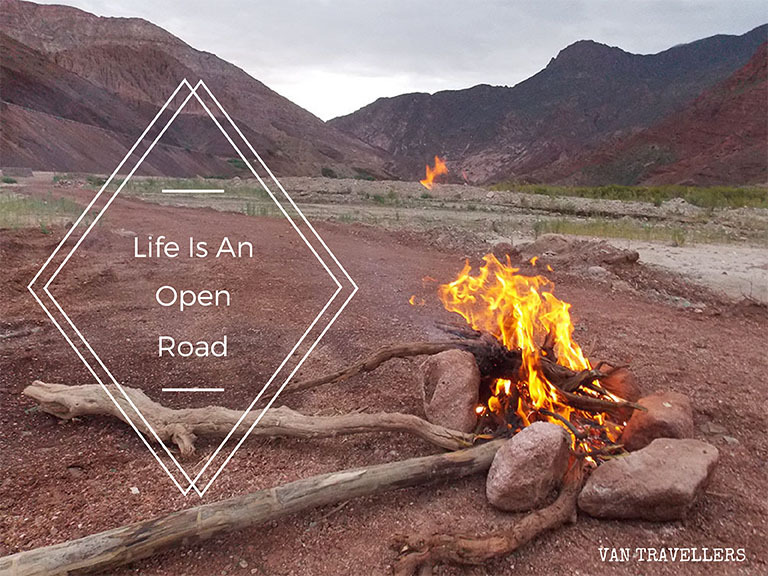 Right behind we found a dirt road that took us to the center of the valley, where we spent a quiet night under the stars and surrounded by mountains. 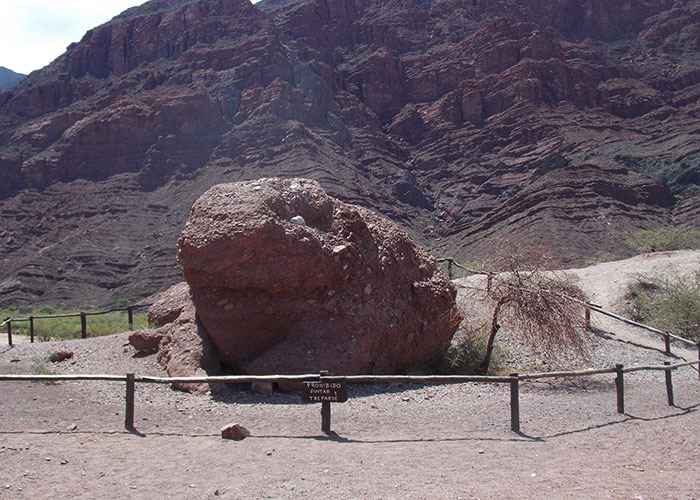 1 km passed “El Sapo”, and on the other side of the river there is a natural figure sculpted in the rock. It looks like a Franciscan monk or priest, that´s why it is known as: “El Franciscano” (The Franciscan). The beautiful shapes of rocks and mountains have also been chosen by some birds to establish their home. In “La Casa de los Loros” (The House of the Parrots), the parrot Barranquero found a place to nest, making caves to shelter and to hide from predators. It is very easy to see dozens of them flying around. 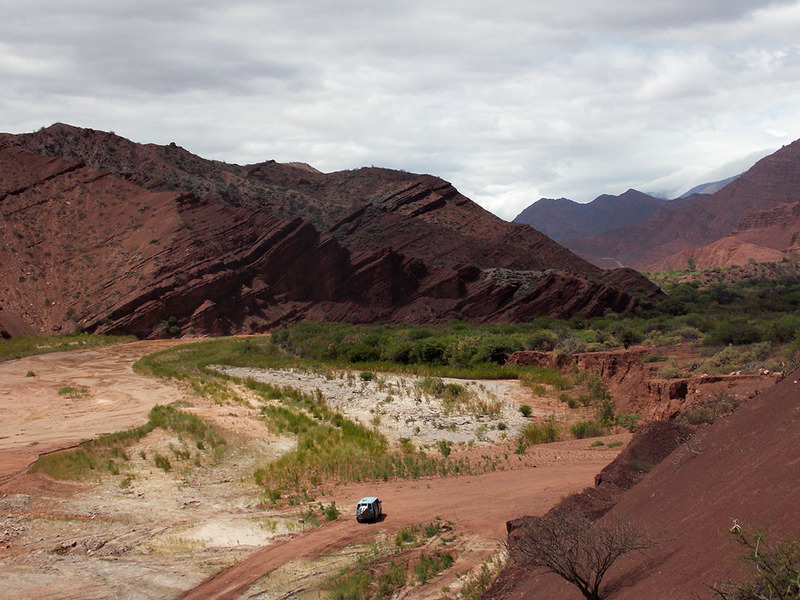 A few kilometers away we come across “La Yesera”, where important deposits of fossilized fish and salt are found. It verifies the presence of the Sea in this area 15 million years ago. 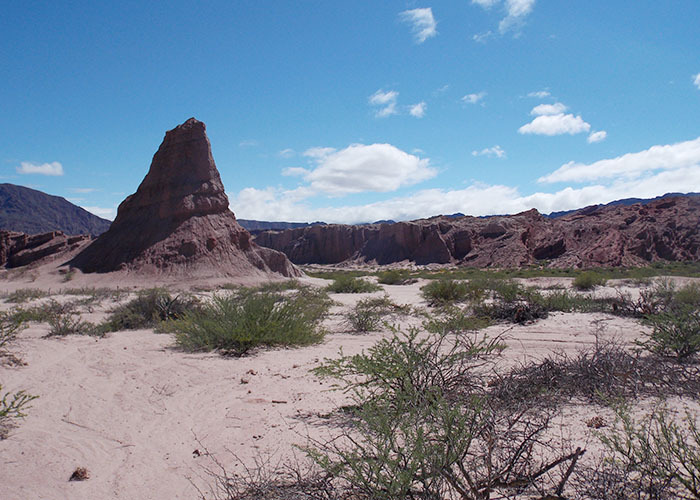 And not much further we see “El Obelisco” (The Obelisk); a tower of sandstone and clay with a height of 26 meters. Leaving it behind we will start seeing holes in the side of the mountain, this means that we have arrived to “Las Ventanas” (The Windows). These holes were formed by a strong erosion which eroded the hillside. As a final formation we find “Los Castillos” (The Castles). Where the erosion also carve impressive columns and towers. Along the way there are many places where to stop and get lost, there are dry rivers (in dry season) which course take you deep between the mountain and away of everyone else, where small cannons are formed. 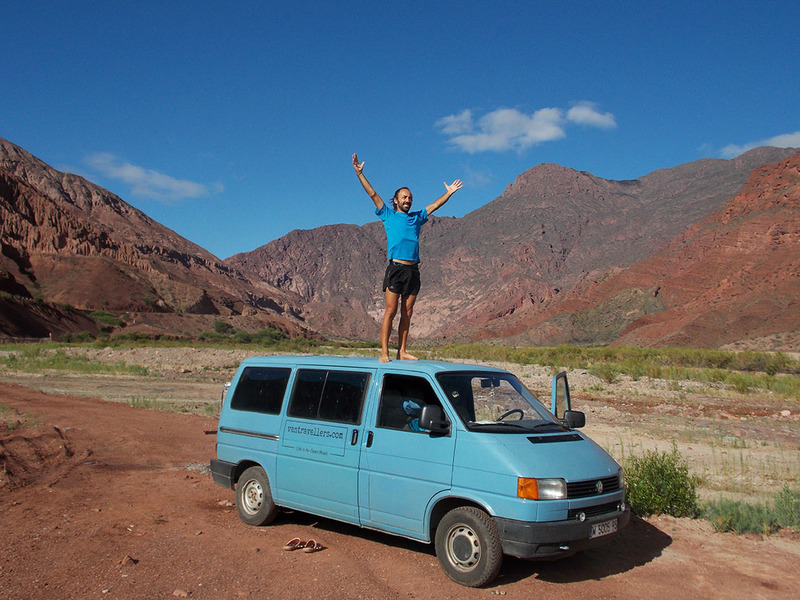 There are mountains of different shapes and colors to which we can climb and amazing scenery to look at. All formations can be found at the side of the road and in some of them like the Devil’s Throat or the Amphitheater craftsmen gather to sell their products. 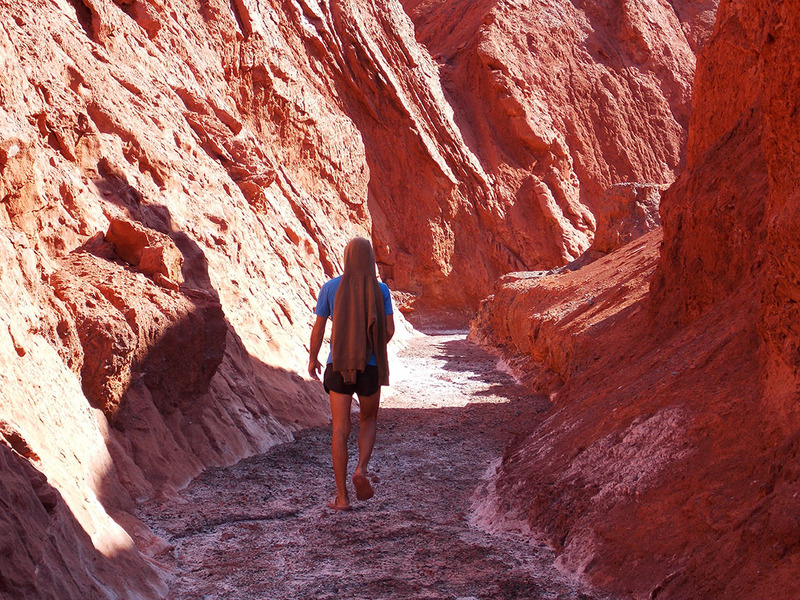 Have you driven the Quebrada de las Conchas Road? Would you like to do it?